The serialization age of television has done many good things for storytelling, but there are always complications. Chief among them: It's made what could be called “false serialization” stand out more prominently and more negatively. Faux-serialized are those stories that seem like they should be longer-term; where the show puts emphasis on the resolution of a problem that didn't exist until that particular episode. In a series that actually has long-term stories and resolutions, faking that kind of drama is easy to see through, and rather frustrating. In tonight's “Stagnation,” there are two major story threads that fit within that category of false serialization. First, there's a running semi-joke about Kristen and Ryan being so comfortable with one another now that it's like they're dating—and Kristen even tells people they are, at least when she gets a bottle of wine out of it. By the end of the episode, Ryan has learned a lesson about stagnation, which he imparts to Kristen, and voila, this seemingly important phase of their relationship is introduced and dismissed all too quickly. 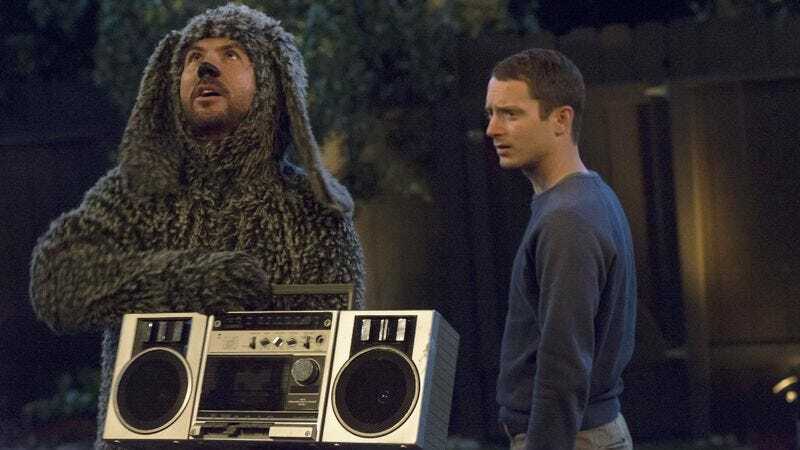 Perhaps even more importantly, the idea of a romantic relationship between siblings seems like exactly the sort of situation a show like Wilfred should be able to mine for dark, absurd humor, and yet it's almost entirely avoided except for one scene of Wilfred faking an artificial insemination. The second major false serialization is Ryan's monetary situation. We've been given information that he could be struggling to pay certain bills earlier in the season, but poverty has never actually manifested as a legitimate threat to anything that he wants to do. Getting Ryan a job is a great way to expand the scope of the show, as we saw in the second season, but the way it's being framed here doesn't seem like it's related to the characterization or setting. Instead, it seems more like a way to get Ann out of the way. Given how little Wilfred has done with Kristen Schaal after her initial episode, it's not at all a surprise that she'd be shown the door. But it's how it was done that bugs me. Was there any benefit at all to having the character and the actress stick around for a few more episodes? She hasn't gotten any jokes in, nor has she added anything to how we perceive Ryan or Wilfred. In fact, I think there have been more lines about how Ann isn't around than lines actually spoken by Ann. Given that “Stagnation” seems to exist to resolve problems that weren't actually problems without much humor, it's rather frustrating that a big comedic side-plot doesn't get any kind of resolution. There's a glory hole in Ryan's fence, and Wilfred enjoys it, which he mentions multiple times after Ryan seems. That's about it—what's on the other side of the glory hole, or where it came from, go totally undiscussed, which seems wasteful. There's a punchline on the other side of that fence. That's not to say that “Stagnation” is a total disaster of an episode. The heart of it, where Ann brings home an English bulldog in heat, and Wilfred believes that he's in love, is enjoyable enough, especially when Wilfred gets poetic (“Are you saying that my moonbeam in the darkness of my lonely night is promised to another?”). But there's not enough there, either comedically or dramatically, to help “Stagnation” rise above being filler, which is especially frustrating coming so late in a season. Thanks to Kenny for filling in last week! I'm sad that I missed a Bruce episode, but it too was surprisingly slight, albeit occasionally hilarious. The dog howling boombox was a cute touch. “Andrew? Why would she name her future son Ann…Drew?” A nice little throwaway joke here, albeit one with potential repercussions. It does really reinforce the idea that guest stars are barely in episodes. Dwight Yoakam was only in his one house last week, Schaal has barely been seen, and Klein just waves in the yard.